For ten years now, I have spent my days with little folks, talking about life, the world, what things do and how they work. Together, we have the pleasure of indulging our mutual sense of wonder. I have come to understand that children have an innate love of nature and if that love is nurtured, it will naturally bloom into a love of self and love for others. I watch it happen time and time again, year after year, cycle after cycle. It never ceases to amaze me. So, how can we as parents, teachers and role models, tap into this sense of wonder and instill healthy habits within our children? They are, after all, our hope for the future…are they not? It is a mighty responsibility, an overwhelming task, so my advice is to simply start small. Invite them. Excite them. Delight them in the process. And those healthy habits will naturally become part of who they are. The first day of school is right around the corner and with that comes the end of the easy summer schedule and the beginning of that hectic morning routine. My thoughts of course turn to food, as they always do, and what can I do to revive and maintain my healthy habits in the midst of those busy school days. I get out my new lunch bag that a kiddo gifted to me at the end of last school year…the one that was filled with treats from Trader Joe’s because she knows I love Trader Joe’s treats. I wash the blue water bottle that another little friend chose just for me because she knows blue is my favorite color and I love to hike…and a blue water bottle is perfect for hiking. I am, once again, amazed by the things that these little ones notice and remember about me. I am profoundly touched by their attentive ways and the fact that they look up to me. I am struck by that reoccurring realization that as a teacher, I have the power to influence these little minds and hearts by simply being me. So, I shift my priorities and turn my mind to ways I can inspire them to develop and maintain their own healthy habits in the midst of this super-charged, super-sized world. I often talk about my busy days, the hustle bustle, the never-ending to-do list and that always fleeting Time. Keep in mind, I am not a mom, I have no children of my own. On those busy work days, I can barely get myself out the door, let alone one or two or three more! I have great admiration for those working parents, the single mom or dad, who are always on task, always on time…I don’t think I could do that. Needless to say, I am not one to judge the quick fix, the convenience pack or the fast grab, but I do believe there must be a better way to not only nourish our kids, but teach them to nourish themselves. And to enjoy the process. Children love stories. I often use stories to reinforce and incorporate fun practical life activities, like gardening, food preparation and science experiments, into the classroom environment. 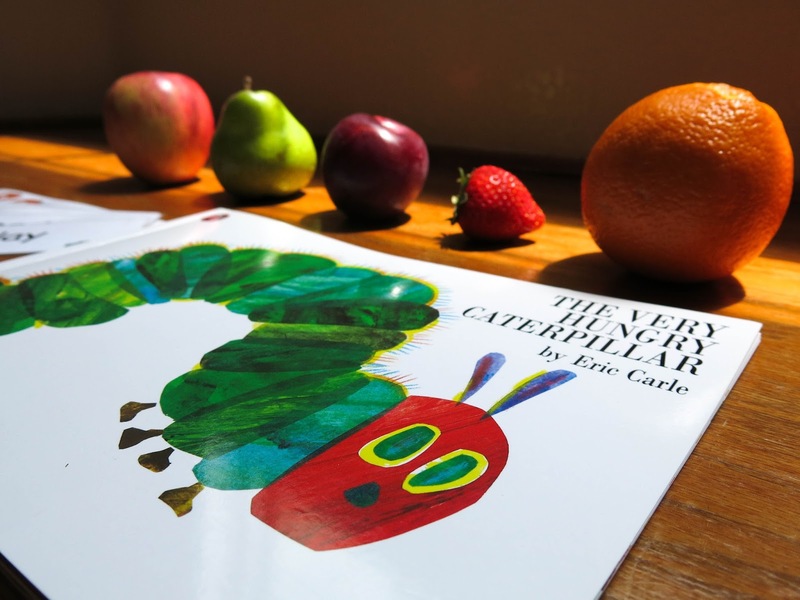 So, trying to think of ways to encourage healthy eating habits amongst the wee ones, I immediately thought of this Very Hungry Caterpillar. A classic tale of munching, lunching, overindulging, recovery and transformation. Story time is a great opportunity to engage your kids in conversations about healthy foods and the important role they play in nurturing our bodies. You can use your Sunday night story time to excite a little something to look forward to in the busy school week ahead. 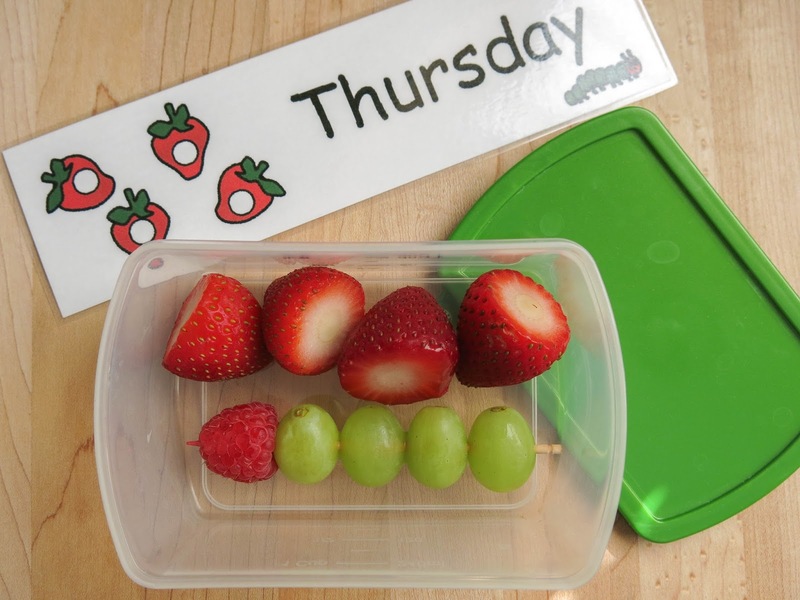 You’ll be amazed at the way a simple slice of fruit can excite a child’s enthusiasm to partake in a healthy snack. Inviting them to participate in the preparations only heightens the delight. 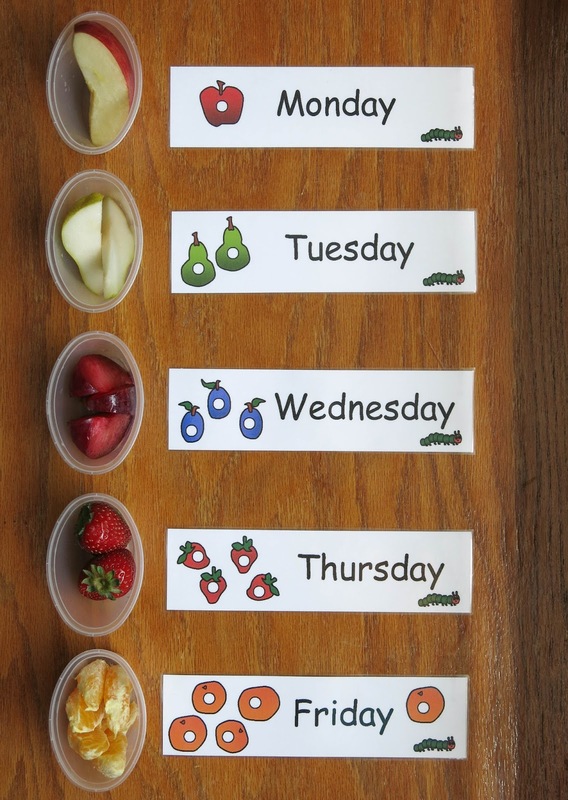 Together you can prepare the appropriate number of fruit for each day’s lunchbox and store them in the fridge for speedy weekday packing. 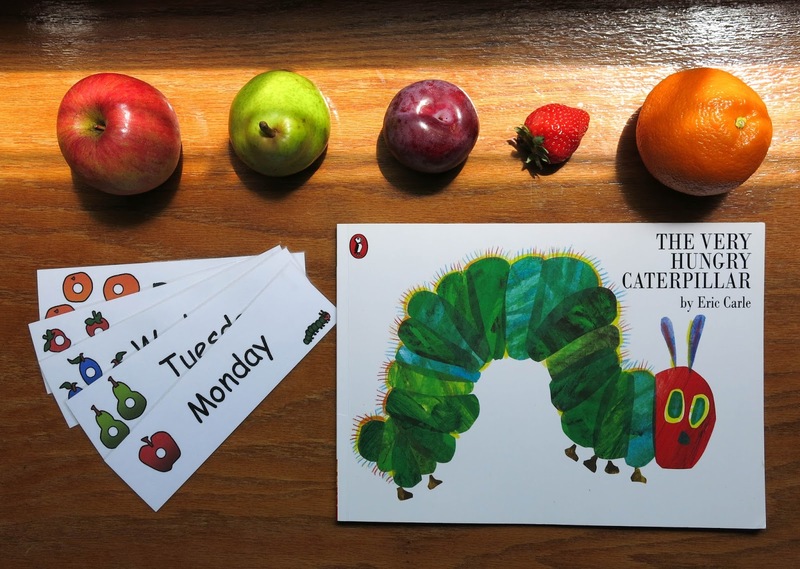 Sneak one of these cute cards into your child’s lunchbox and you will ignite a lunchtime discussion, the likes of which you’ve never seen…fruits, vegetables, poor choices, good choices, life cycles, cocoons, chrysalides, metamorphosis, transformation (not to mention counting, numbers and days of the week)….I’m telling you, it really doesn’t take much to excite that curiosity and delight that sense of wonder! There are so many ways to make healthy food fun and exciting for your children and it doesn’t have to take a lot of time. 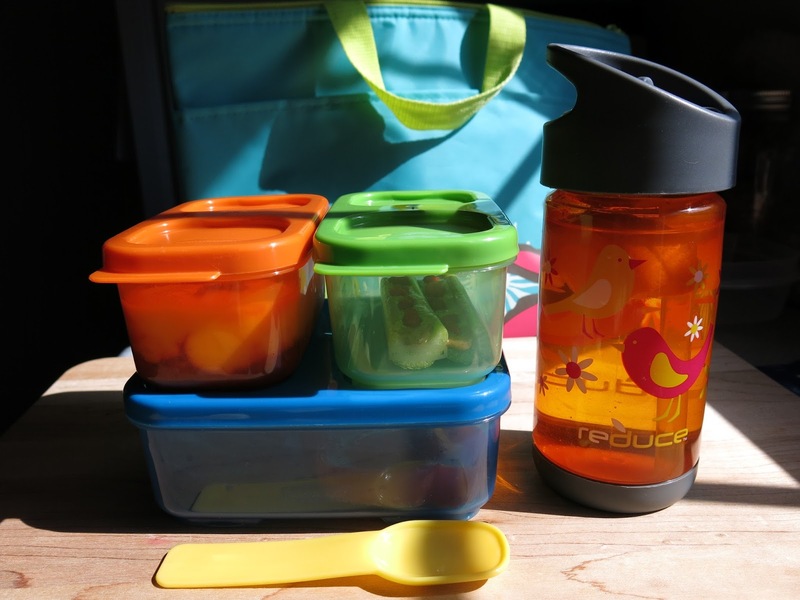 By taking a few moments each week to engage your children in healthy lunch preparations you are creating opportunities to educate them about the role food plays in our health and overall well being. Not only that, you are empowering your children to make healthy choices for themselves. And isn’t that a beautiful thing. I am all for unprocessed, homemade, whole food meals and snacks, but honestly, I am not that organized and I don’t always have the time. I believe there is a time and a place for the convenience of pre-packaged foods, but that doesn’t mean they can’t be healthy. Take yogurt, for example. Those kid-sized snack packs can be loaded with sugar and additives. 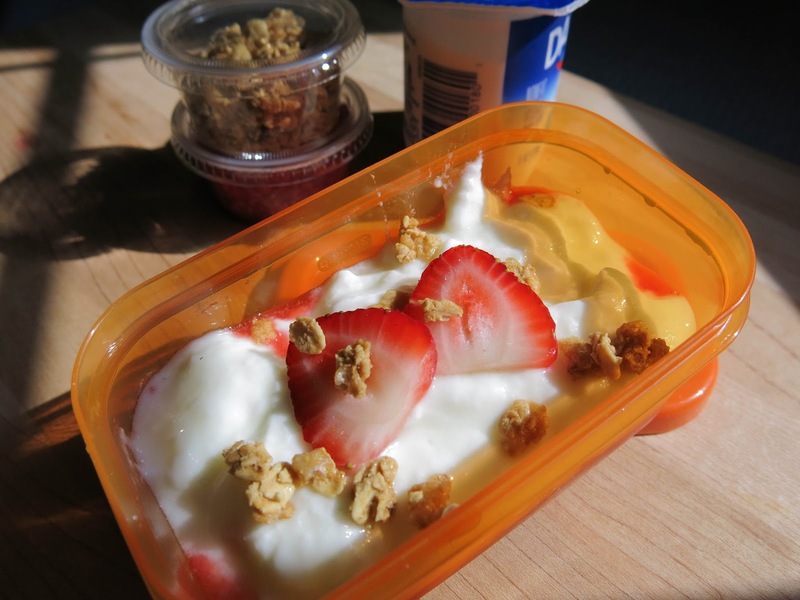 But with a plain old, unflavored, single serve (preferably organic) yogurt cup, you and your child can create the makings for a fabulous lunchbox yogurt parfait. Children love having choices. Allowing them opportunities to make good choices for themselves helps them feel successful, responsible and very grown-up. 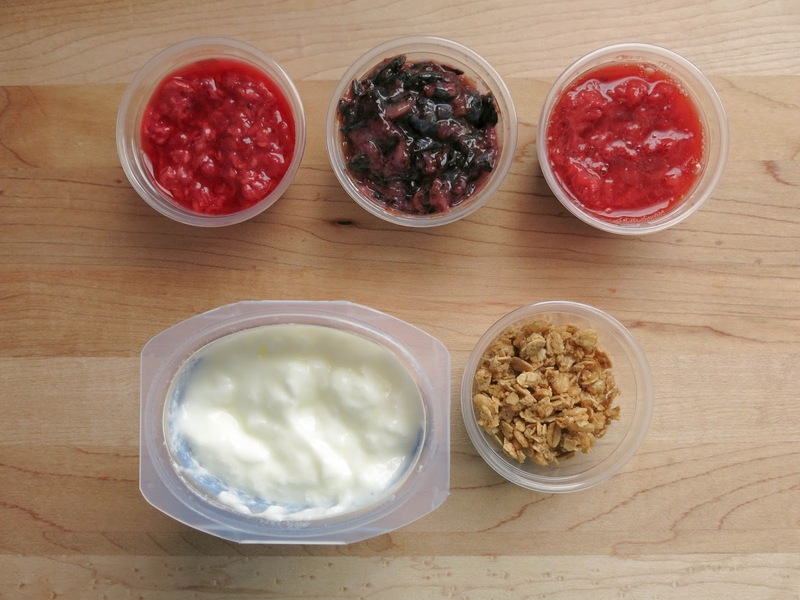 Involve your child in choosing various fresh fruits with which you can flavor your own fruit-on-the-bottom, granola-topped yogurt parfaits. Simply smash some fruit (literally, just put some berries in a bowl and mash ’em up with a fork!) and dish it into small reusable containers to store in the fridge for that quick and easy grab-n-pack. Adding a dash of lemon to fruits like blueberries and peaches will help prevent browning and provide a welcome opportunity to discuss the process of oxidation and free-radicals (kids love that kind of stuff!). Most fruits are naturally sweet, but you can certainly add a little honey, maple syrup or agave, if you like. 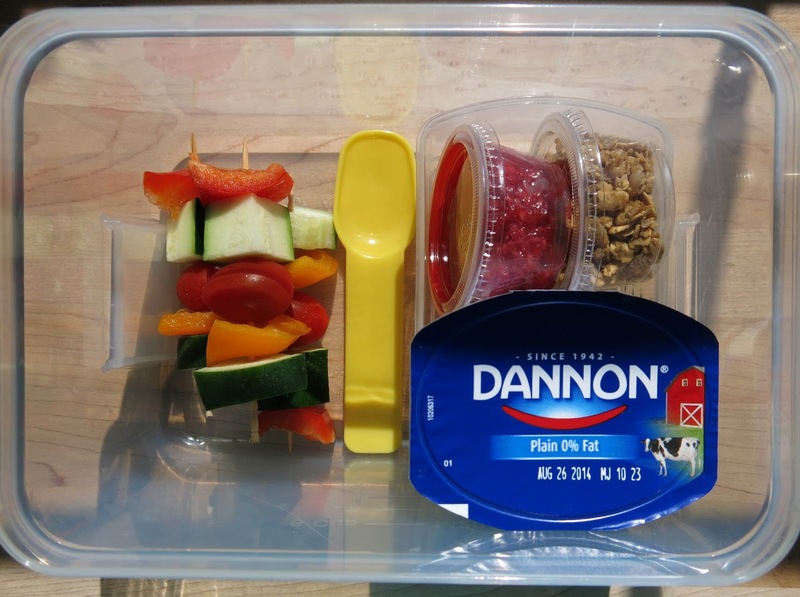 If your child is small, you can pack the parfait already prepared in one of those fun lunchbox containers. Older children might enjoy the feeling of independence in taking charge of building their own parfait at lunchtime. And don’t forget about Mom or Dad. 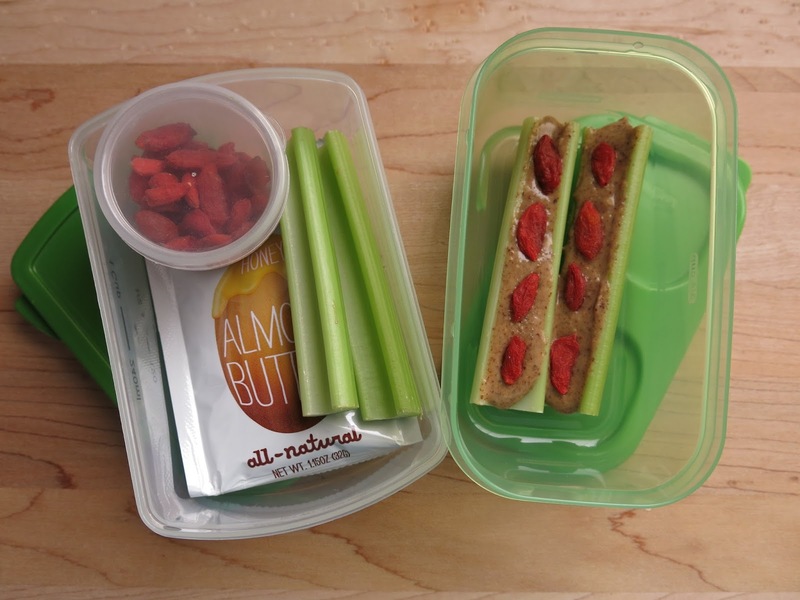 This healthy kid lunch item is the perfect thing for that portable breakfast on busy mornings. 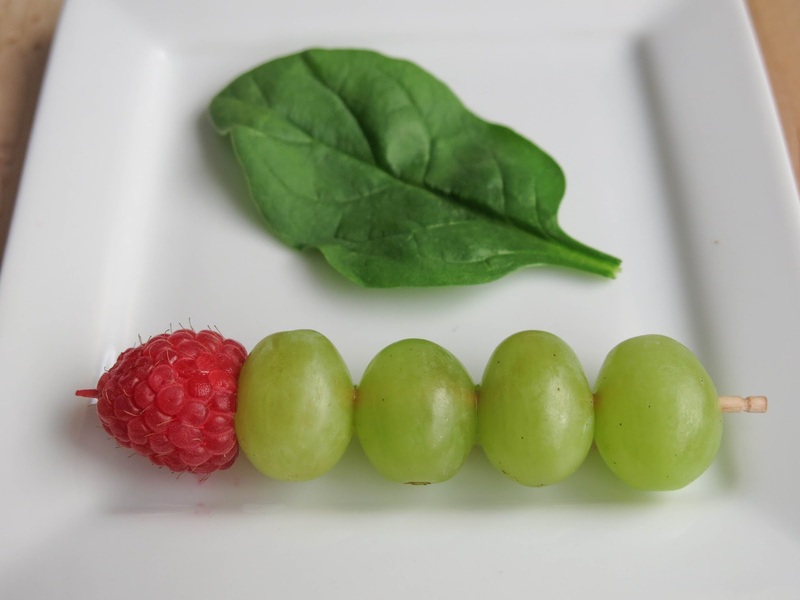 Creating a twist on an old classic can be a fun and enticing way to introduce your kids to superfoods and alternative options for certain dietary restrictions. Take your old “ants on a log”, traditionally made with raw celery sticks, peanut butter and raisins. 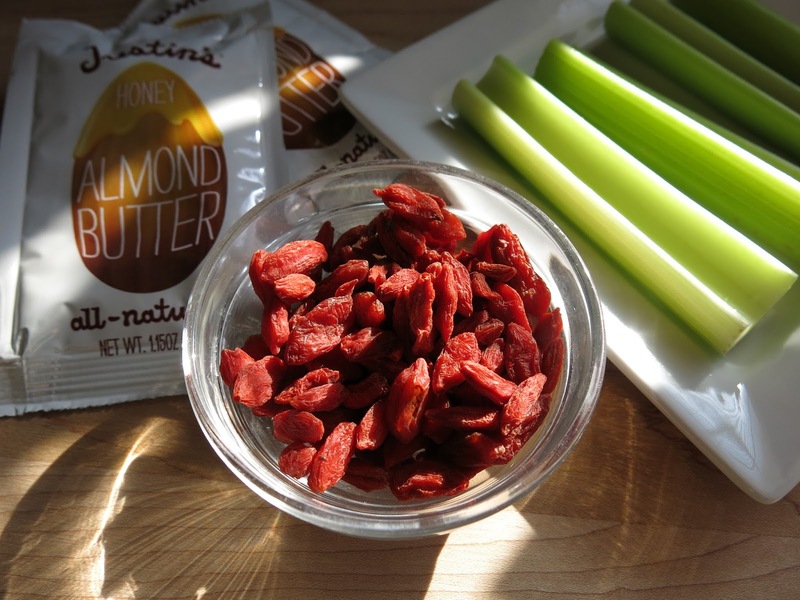 Switch out that preservative-laden, shelf-stable peanut butter for natural, raw almond butter. Or for those with nut allergies, try some good quality cream cheese or a dairy-free alternative. And just for fun, put red ants on your logs using goji berries instead of raisins. This is a great opportunity to engage your kids in discussions about the super-powers of antioxidants and micronutrients (trust me, kiddos eat that kind of information up). Again, prepare this snack together ahead of time or send your kids off to school with the tools to make it for themselves. I know I have said this before, but when it comes to food, presentation is everything. This is especially true where kids are concerned. 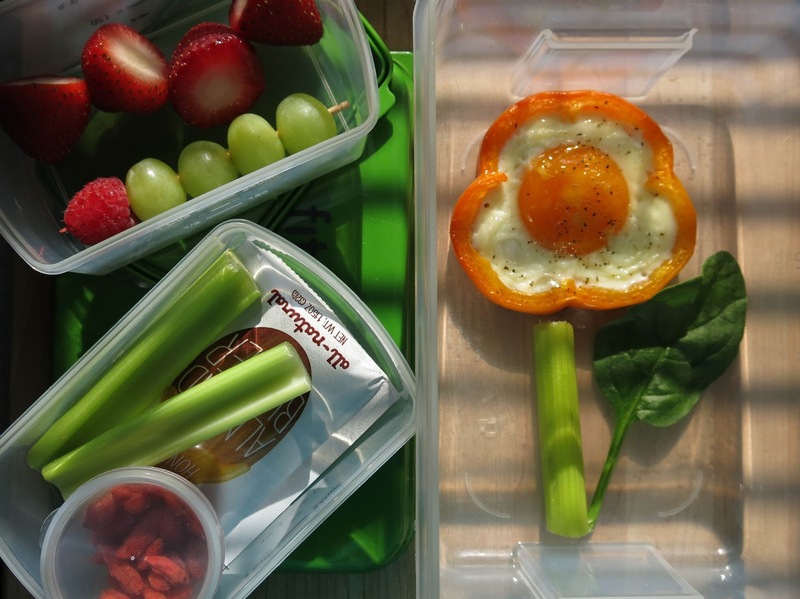 A quick peek on the internet will reveal a wealth of ideas and inspiration for incorporating more vegetables into your children’s school day lunch breaks. 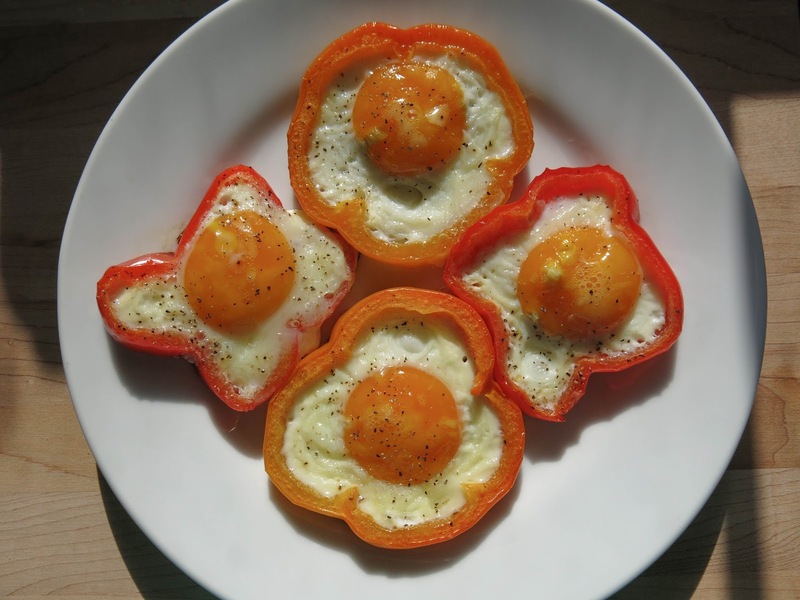 This egg and veggie flower, for example, is a delight for any child to find unexpectedly blooming in their lunchbox. Let’s not forget about hydration. When the wee ones get drawn into their daily activities and engrossed in their concentrated efforts, be it work or play, they can be reluctant to take the time to stop for a drink of water. It is tempting to entice them with juice, soda, or those chemically colored thirst quenchers, but those types of beverages are training their tastebuds to desire only sweet things to drink. Talk to them about the importance of drinking lots of pure, filtered water. 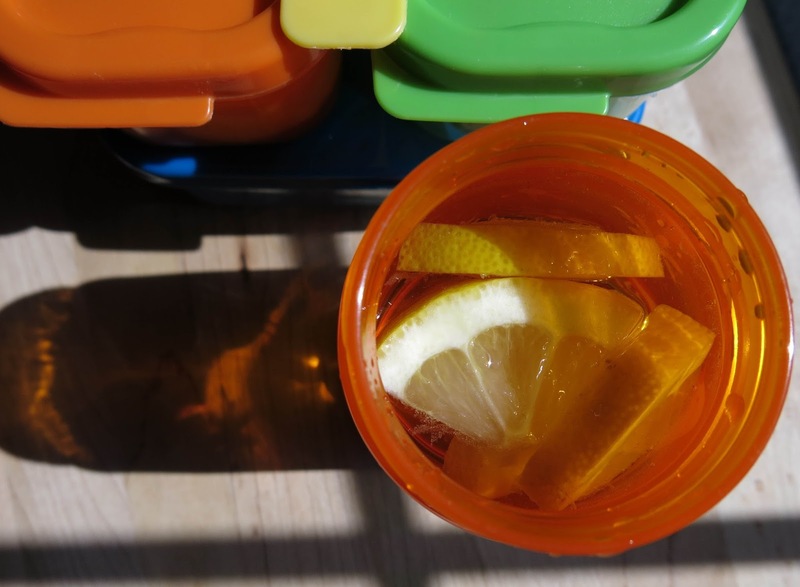 You can easily infuse water with natural fruit flavor by adding fresh citrus slices or frozen fruit cubes to your kiddo’s own cute reusable bottle. 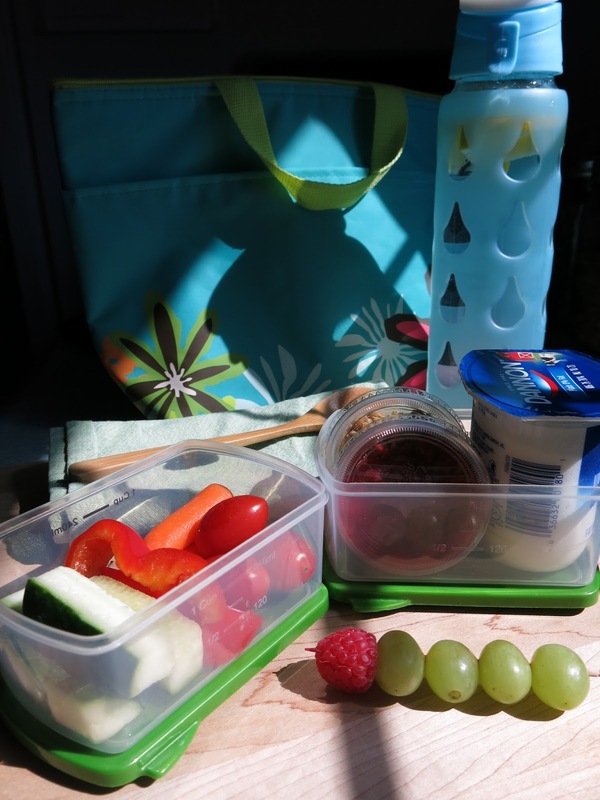 With just a few simple and fun options you can create a week’s worth of healthy and appealing choices for your children to mix, match and munch. And please, don’t forget about Mom or Dad. 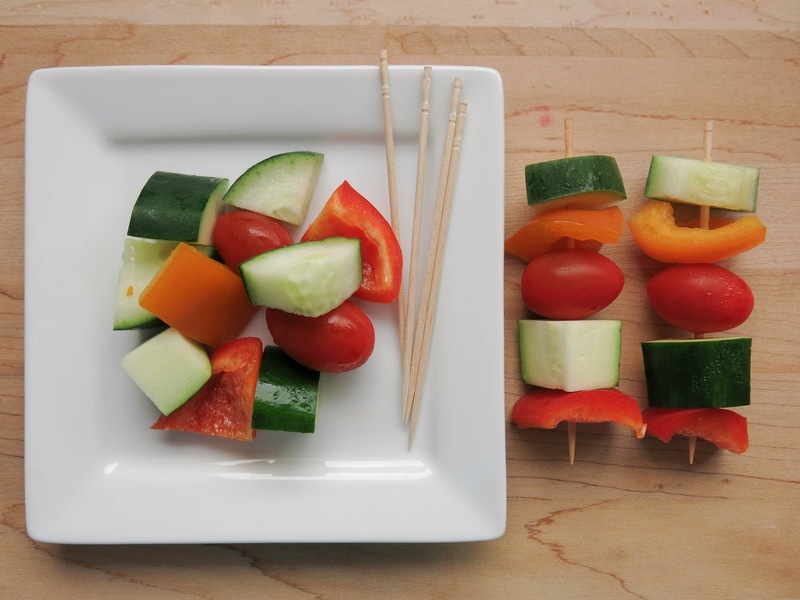 Invite your children to actively take part in the experience of creating healthy lunches for them and for you. Excite their sense of adventure by exploring new and fun food options together. Delight them with unexpected discoveries. The adoration of a young child is truly a special gift. When children adore you, they admire you. When they admire you, they emulate you. And when they emulate you, they adopt patterns of behavior that will follow them throughout their lives. As role models-whether you are a mother, father, brother, sister, teacher, mentor or friend-we influence the minds, hearts and habits of these little people every single day. It is a huge responsibility, but it is also a precious opportunity to advocate for change. For these little souls have the power to change the world and it starts with you and me. So think big, but start small by encouraging everyday choices that will lead our children to live happy, healthy lives.